When will we ever figure out what causes cancer? I've never been diagnosed with cancer; all I know is I don't want chemo or radiation if I ever am. That leaves me with an ongoing research project of learning as much as I can about cancer so that I can "be my own physician," as I used to hear Jeff Rense say. JM: As you’re watching this interview today, 1,600 people will die, in the United States alone, prematurely from cancer. That number goes up ten-fold, up to 21,000 if you include the entire world population. Wouldn’t it be interesting if there was a simple dietary tweak that could not only prevent but treat the vast majority of these cancers? Hi, this is Dr. Mercola, helping you take care of your health. Today I’m joined by Travis Christofferson who wrote a phenomenal book. I read 150 books in 2015, and this was clearly one of the best health books I’ve read. It was fascinating and absolutely, in my view, a required read for anyone who has cancer or knows someone who has cancer. I can't say enough good things about this book, and I am just absolutely delighted for Travis to join us today to delve into more details. Welcome, and thank you for joining us today, Travis. A pathological increase in the production of ketone bodies. I've seen that alert before. 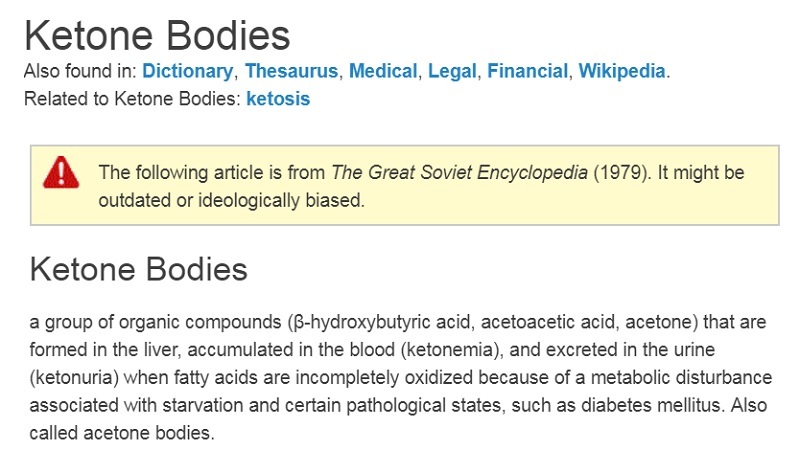 It tells me the international medical mafia doesn't want us to know what ketone bodies are, for fear we'll figure out the truth about cancer and disease, in general. I'm not sure about the starvation part of this discussion, however.